Wow – ASH Is Like an Octopus! Hi Everyone! Thanks for coming to the IMF’s ASH 2017 webpages. The support group leaders joining us this year are patients and caregivers who will be sharing their experience with you throughout the meetings. Once again, we’re fortunate to have with us, Teresa Miceli, BSN, OCN, registered nurse at Mayo Clinic and a member of the IMF’s Nurse Leadership Board. Teresa will lead us through our working meetings to better understand terminology and lead us in active discussions. Dr. Durie, Debbie Birns (IMF Medical Editor) and I have been preparing the leaders daily activity timeline schedule incorporating selected oral and poster abstracts and special events. The leaders arrive on Thursday to ensure they are rested up for the long days ahead of them. 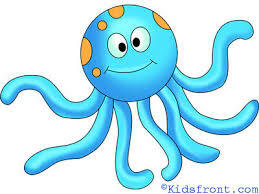 “Life is Like an Octopus” at ASH as we try to navigate the multiple programs and simultaneous sessions! We’ll need to split up to cover everything and weave our way through the crowded halls of ASH making our paths to the next session as quickly and directly as possible. I think of an octopus’ waving arms as the hallways of ASH, where we do our best to navigate from one end to the other to learn and share all we can! Friday, leaders start out with an Orientation Breakfast and are quickly whisked off to their first event, the IMF’s Satellite Symposium: Getting Clear Answers to Complex Treatment Challenges in Multiple Myeloma: Case Discussions. This is one of my favorite programs, where we can hear case discussions and point/counterpoint opinions on everything from accurately diagnosing myeloma and starting treatment, to individualized approaches, transplant, consolidation, maintenance, the role of minimal residual disease “MRD,” and so much more. I’m sure the leaders will be tweeting and blogging on this key program, so stay tuned for that! Each day will be packed with learning and networking opportunities that the leaders will be sharing with you through their daily tweets, blogs, and maybe even a few videos too! The IMF was the first organization to bring myeloma patients to ASH back in 2006 because they understand the value of hearing first-hand what our futures may hold for us; and then to have the opportunity to share that from a peer-to-peer perspective! I thank each leader for taking the time out of their busy lives to prepare for, to focus and learn, and to then share what they are excited about and hopeful for with all of you. I encourage you to read their blogs. Also, embrace technology and follow them on Twitter too! It’s easy! And a way to be like a fly on the wall with real-time information direct from ASH from people just like you—myeloma patients & caregivers. If you are new to Twitter, here’s a link to help you get started. Then make sure to follow each of the leaders for their tweets! I’ll be reporting on the leader’s daily activities and also what I’m excited about as a 17-year myeloma caregiver.